When the doors of the lift crank open, the only thing Thomas remembers is his first name. But he's not alone. 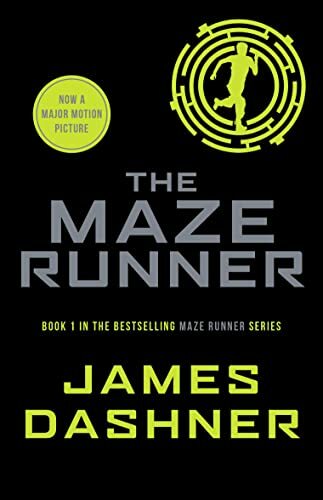 He's surrounded by boys who welcome him to the Glade - a walled encampment at the centre of a bizarre and terrible stone maze., Like Thomas, the Gladers don't know why or how they came to be there - or what's happened to the world outside. All they know is that every morning when the walls slide back, they will risk everything - even the Grievers, half-machine, half-animal horror that patrol its corridors, to try and find out. "Wonderful action-writing--fast-paced...but smart and well observed." --"Newsday"
"Heart pounding to the very last moment." --"Kirkus Reviews"
"Take a deep breath before you start any James Dashner book." --"Deseret News"
Wonderful action-writing fast-paced but smart and well observed. "Newsday"
Breathless, cinematic action. "Publishers Weekly"
Heart pounding to the very last moment. "Kirkus Reviews"
Take a deep breath before you start any James Dashner book. "Deseret News""
Wonderful action writing fast-paced but smart and well observed. "Newsday"
"Take a deep breath before you start any James Dashner book. "-"Deseret News""
James Dashner is also the author of the 13th Reality series. James was born and raised in Georgia, but now lives in the Rocky Mountains with his family. After several years working in finance, he is now a full-time writer.